787 pages. No dust jacket. Black cloth boards with gilt lettering to spine. Contains plates engraved by J. Rogers. Spine flapping and front board held on at paste down. 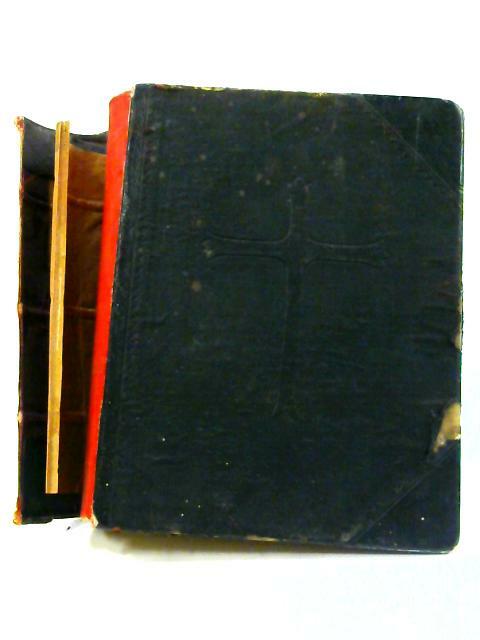 Slightly loose binding to lightly tanned pages and plates with bright copy throughout. Infrequent cracked hinges exposing binding. Large tears to front paste down with front board separated from text block. Frequent finger marks and stains to pages. Occasional light foxing. Frequent tears to edges. Moderate shelf wear and markings to boards with light stains and bleaching. Split to rear spine edge and entire front edge creating flapping and exposing binding. Moderate rub wear and tearing to edges and bumped corners exposing boards beneath. Pieces missing to spine ends. Front board detached.